These were part of Chanel’s summer collection and hopefully if you like them some counters should still have the in stock……. while Fall and Holiday collection start to fall! The Chanel Mediterranee collection landed on our shores a few weeks back and today I bring you my picks. The Ombre A’ Paupie’res Effet Frais made their first appearance in the Chanel Lineup if I’m not mistaken last year spring. 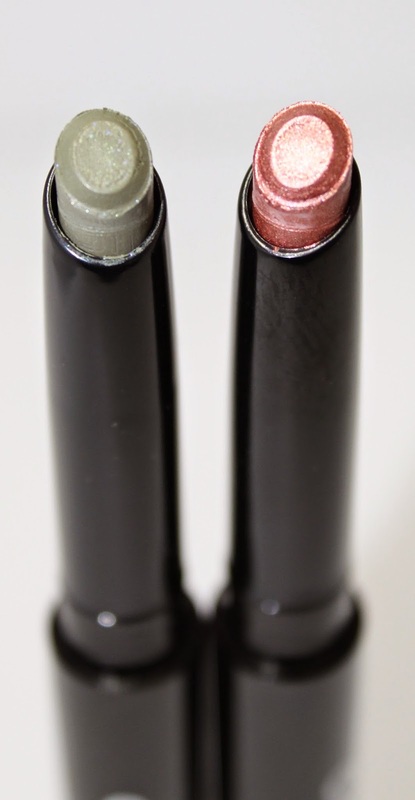 I enjoyed using them last year, so when I saw these two gorgeous and unusual shades I grabbed these two limited edition’s. These shades are both perfect for the upcoming “pumpkin’ season and I think lend themselves more to Fall than summer. The formula has that oddly cool effect when applied to the eye. This obviously does not last long and I’m not convinced that the product needs this gimmick. My peepers however, do feel momentarily refreshed! 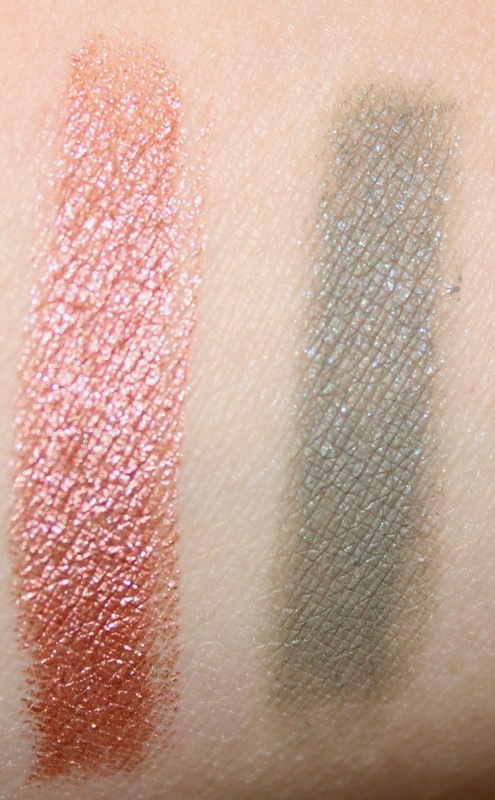 The shade Laurier Rose is a stunning shade of rose gold- essentially a glistening peach. This reached fully opacity in a single swipe. Olivine is a shade that I have no match to in my stash. Its an almost matte moss green. Both these shades are unusual enough to warrant a purchase! They are not my favourite shadow stick but are still high quality and last pretty well on my oily lids. What was your favourite summer collection for 2015? I love both of these too, lovely! Summer is just coming right, here it is over booh! Hi Sara! Yes summer is just about here- But I seem to set my clock according to international makeup collections- beauty addict? !